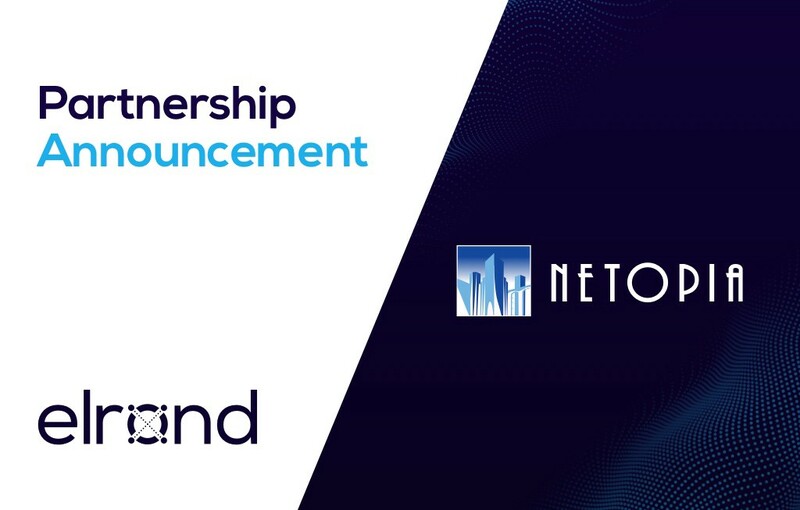 St. JULIANS, MALTA and BUCHAREST — 27 November, 2018 — Elrond Ltd,the technology company developing a new, scalable and more efficient blockchain platform, supporting negligible fees and a finality of just a few seconds, today announced a new agreement with one of the leading payment providers, NETOPIA Payments. NETOPIA is the biggest electronic payment processor in Romania, expecting to process in 2018 more than 13 million digital transactions with a total value of around $400 Million. Elrond and NETOPIA aim to jointly explore the potential of integrating Elrond’s token, ERD, into the NETOPIA payment platform allowing their merchants to offer on their turn to their users and clients the possibility to acquire products and services through ERD tokens as well. This will also mean that 6,000+ merchants who are using the NETOPIA solutions will be able to accept ERD cryptocurrency overnight, with no development or operational costs on their part. Elrond and NETOPIA are also expressing their interest in exploring other, but not limited, potential use cases, related to blockchain technologies, payments, and privacy. Co-Founder and COO, Elrond Network.